we offer local service without delay. Good products also require good service, and the best service is face-to-face service. The structure of MEAN WELL's worldwide network of close to l00 distributors allows our power supply end user's to enjoy immediate service imbued with intimate local knowledge. Our entire authorized distributor network has worked with MEAN WELL for at least two years during which time each individual distributor underwent a rigorous appraisal of their abilities. They each have a deep understanding of our products with which they can provide in depth specialized service. Our distributors provide the first line of contact in introducing the advantages of MEAN WELL's products to our end users. Most distributors can also help with system integration to provide a total solution, offering end users a one-stop shop for all their power supply, and associated component needs. We recommend that each keep an appropriate stock level, because the ability to quickly provide small quantities of our products for sampling purposes is one of the defining qualities of our distributor network, and our regular production schedule allows MEAN WELL to provide prompt service of large orders either to our distributors or directly to our end user's door. We spare no effort in support of our distributors. Our guiding principle is to work hard in providing all the necessary backing so that our distributors may concentrate their effort on serving their market. As part of this philosophy MEAN WELL continuously invests in improving and expanding its product range, alongside providing our distributors with extensive technical and sales support. This support includes extensive product specification sheets, brochures and other promotional material, along with monetary assistance for advertising or trade exhibitions. Moreover MEAN WELL offers many different compensation schemes to reward and support distributors who have been successful in establishing themselves as leaders within their own national market. The power supply industry is one of long-term goals. 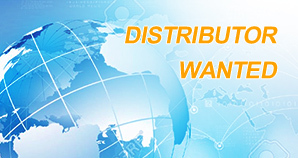 We sincerely invite all companies who share our philosophy to join the ranks of our worldwide distribution network, and let MEAN WELL become your long-term reliable power partner. Middle East: Armenia, Azerbaijan, Bahrain, Georgia, Iran, Iraq, Jordan, Kuwait, Lebanon, Oman, Qatar,Saudi Arabia, Syria, Yemen. Europe: Austria, Belarus, Iceland, Norway, Romania. If your company has a great sales experience and interests in marketing the following items at your sales area, please also contact us soon. Copyright ® MEAN WELL Enterprises Co., Ltd. All rights reserved.